Transfer ration card is a quite easy process, you just need to submit the necessary documents followed by reason. Here we cover the complete information on how to transfer your ration from one address to other address. Note: Transferring of ration card from one address to other address through online it won’t possible. As a statewide websites & list may vary. Ration Cards are an integral part of our society. These are a type of proof document that is allocated to people by the respective state governments. The Ration cards are handled and managed by the Food and Civil Service Departments of the corresponding state governments. Ration cards are specifically designed for all the economically insecure people who can avail of all the above-mentioned commodities, with certain alterations, at extremely subsidized rates compared to the normal market rates. In this article, we will learn about what all you need to do in order to transfer a ration card from one location to another. In order to transfer your ration card, you need to follow certain rules and regulations. There are situations when you need to transfer your documents from one place in the country to another. At that point in time, you need not worry about the exact procedure. And here you are, exactly where you need to be. After filling it up, submit it along with either of these documents or the ones that they might ask for. The list of documents that you might find helpful will be mentioned after this sub-heading. Note down your acknowledgement number and wait for the process to get completed. The process might normally take 2-4 weeks, if not more. Latest tax paid receipt if living in own house. Candidates for the NFSC Cards are given a card based on their selection and materials they need to have after they get it. Each Type of Ration cards has the variation in interests and commodities received for it. 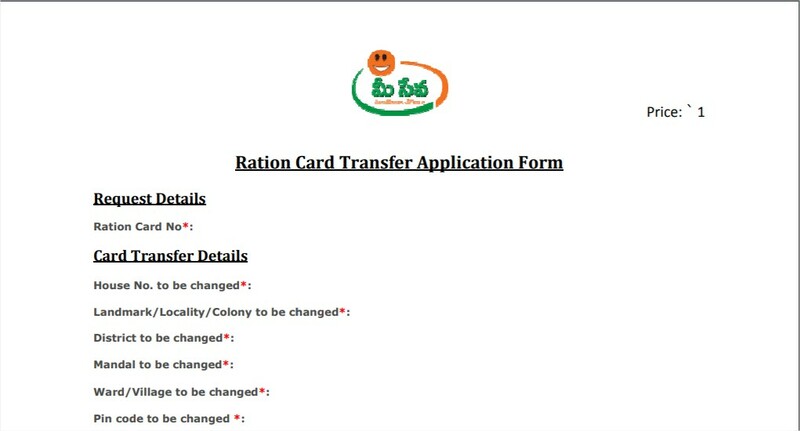 The following is the list of the types of the Ration Cards that are generally issued to the People who had applied for the Ration Card. All Commodity Cards: These are also known as Antyodaya Anna Yojana (AAY) Ration cards. These are usually Green or Yellow in colour and are issued to those candidates who are opting for the Rice and also for other Essential Commodities. Sugar Cards: These are usually Saffron in colour given to those who are mainly going for Sugar instead of Rice. People having these Sugar Cards will be able to buy all the essential Commodities except for Rice. These are also known as Below Poverty Line (BPL). No Commodity Cards: These are identical to the Sugar Cards but white in colour. These cards are issued to those people who are not involved in buying any commodity under the Public Distribution System (PDS). These are also known as Above Poverty Line (APL) cards. Another fact is that people holding Below Poverty Line (BPL) Ration cards can also get an additional 3 KG of rice instead of the normal quantity of Rice. For more information and doubts related to the transfer of ration card do leave a comment here or contact us. We will help you out.